I was in prayer recently concerning the battles at hand in this nation and how to effectively intercede when I heard in my spirit, “It is time to move from the SWORD to the SCEPTER.” As I continued to pray into this, I sensed the Lord calling intercessors to consider another strategy in dealing with the demonic forces coming against believers in this hour. I believe the prayer movement is transitioning from the position of being WARRIORS to a position of being RULERS. A familiar weapon of our warfare has been the sword of the Lord, the Word of God (Hebrews 4:12). However, the word of the Lord can be wielded not only with a sword in battle, but with a scepter from the throne. 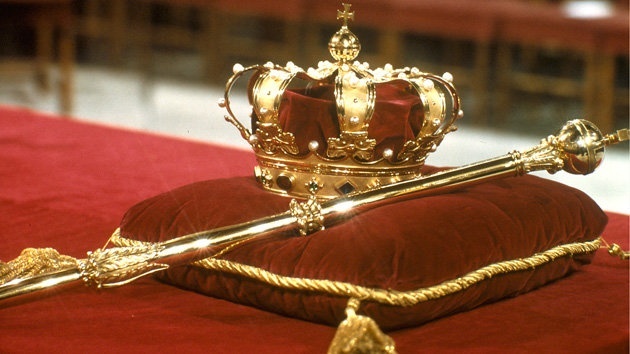 A scepter symbolizes a king’s judicial authority and is usually given as an inheritance, handed from father to son. We are shifting into a time of kingdom rule where the primary tool in establishing His kingdom will be the scepter. As we recognize who we are as sons and daughters of the King and lay claim to the promised land that is ours on the earth (Psalm 115:16), we can take our place seated with Him (Ephesians 2:6). Even as enemy forces are being displaced and dethroned across the globe, the focus must shift from the battlefield into the throne room where kingly rule takes place. A warrior tends to focus on the battle and the strength needed to defeat an enemy. In a spiritual confrontation, much time and energy can be expended in assuming the posture of a warrior instead of a ruler. Even in current prophetic intercession, there is the temptation to believe the volume of our prayers, the passion of our cries, or the force of our delivery will somehow defeat the devil. If we believe our victory is secured because of our own merits as a warrior, our identity and call is misplaced. Our spiritual adversary is determined to wear out many intercessors through needless battles unless we change our strategy. We can begin to defeat the enemy through executing righteous judgments from the throne room instead of fighting with him on the battlefield. It is a shift in the posture of our hearts. It is a shift in the attitude of our prayers. It is a shift in our identities as we secure our inheritance, not because we have fought for it or earned it, but because He has given it to us (Colossians 1:12). We take our position, not with a sword in hand ready to do battle, but with a scepter in hand, ready to render decisions. When a storm, driven by a demonic principality, tore over the lake where Jesus and the disciples were, Jesus stood in the boat and simply spoke three words, “Peace. Be still!” There was no battle. There was no struggle. Only a word. This is the kind of authority that is ours if we but believe. Within our nation, we are currently seeing a demonstration of the prophetic mandate to “…uproot and tear down, to destroy and overthrow” in order to “build and to plant” (Jeremiah 1:10). Even as the highest office in the land is actively doing this in clearing out corruption and wickedness, so are many prophetic intercessors responding to this call to uproot demonic systems and strongholds. Yet, the Lord is calling us to do this work from the throne as the primary means of executing justice. We are to remember the authority granted to us by the King of kings in rendering righteous decisions and disarming the enemy. This authority is ours because of our position in Christ, not because of our strength or abilities as prophetic warriors. Spiritual warfare is not as much about the strength or performance of the warrior as it is about the supremacy and authority of the King. Kings have nothing to prove. Rulers do not strive to be known. Jesus knew who He was when He spoke to the storm. He was not looking to build a reputation or a ministry through His performance as a prophet. He simply stood up and agreed with His Father. Do not let the enemy wear you out by engaging him on the battlefield when he could quickly be dismissed from the throne room. Call him out, yes. Recognize his schemes and abuses but use your scepter to render a righteous judgment that will nullify his illegal hold and dismantle his grip. You may have some experience on the battlefield, but it’s time to move into the throne room and take your place. Heaven is counting on it so that God’s kingdom is firmly established. Thank you for this. It helped me understand a dream I had. In the dream I see the remnant of an army exiting a forest. I am posted to oversees these overcomers who have survived the battle in the forest. To my left appears a lion cub dirty from the battle. I have great compassion for this cub and know I must return and nurture it. The scripture that came was Judah is a Lion’s whelp…..The scepter shall not depart from Judah, Genesis 49:9-10. I believe the dream is talking about the need for the authority you are talking about, which is an innate characteristic of a lion, to mature. Hi Wanda – you may like to check the ‘coincidence’ regarding your hometown in the 3rd section of my pingback to this post. Thank you for being a blessing. Although addressed to churches across the ‘Pond’, this insight Wanda received from the Lord directly complements not only what Veronika West brought this week, but also is pertinent to what I’m about to publish in connection with the word on castles and Part 3 of GPS #11. Therefore, the application of this teaching must be vitally important for now!